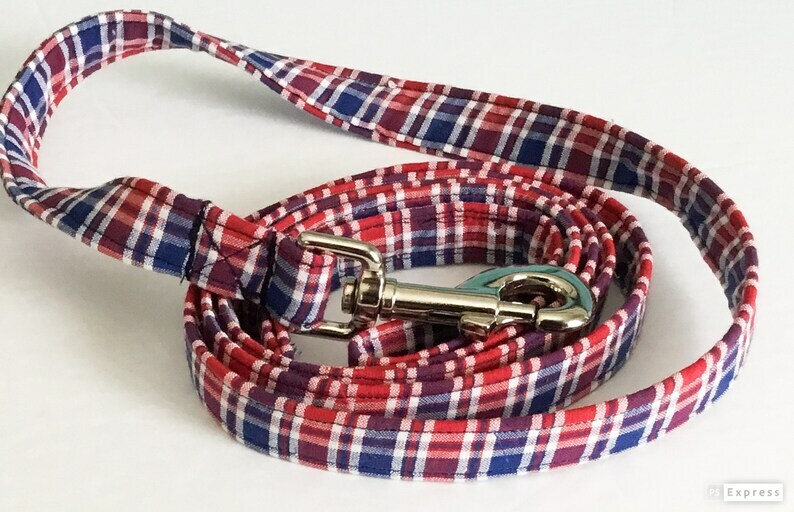 This Red, White and Blue Plaid Dog Leash can be purchased in 1 ft, 2 ft, 3 ft, 4 ft, 5 ft or 6 ft Lengths. A D ring for holding waste bags and an available matching collar are available options when ordering. Black and White Checkered Plaid Dog or Cat Collar with Matching Friendship Bracelet & Charm for Yourself.